We have all come across this at some point: after using the same program for years, one day we are told that we need to update our computer, and after doing so, that program no longer works. It is a source of endless frustration and grief. Software developers are aware of this common pain-point. For many companies, it is a specific goal or even a core value that their systems remain backwards compatible. But, not all companies have the desire (or the resources) to do so. Economically, backwards compatibility is expensive. In fact, money can be made by designing systems that are not backwards compatible. Remember how awesome Zelda: Ocarina of Time is? Or Mario Kart? Well, you can’t shove your Nintendo 64 games into a Nintendo Wii, can you? Nope. And that’s how the game makers like it. As the technology improves, some things get left behind. WordPress strives to always remain backwards compatible. (And can cause huge upset when it fails to do so.) This means that (ideally) the plugins you installed last year should continue to work with the new WordPress core software update. The amount of testing and experimentation that has to go into these updates is unfathomable. There are 46,886 plugins available to add to your WordPress site, as of this publication. These are plugins submitted by individuals or organizations with varying degrees of upkeep. Backwards compatibility tradeoffs are that the software can’t be developed as quickly. New innovations in software (new features of language, or just new features being developed for an application) tempt developers to use them, to either improve on old ways of doing things, or add entirely new capabilities. Supporting old platforms comes at a price: at worst, it rules out using tempting new technologies, and at best, it requires a lot of time, consideration, and care in the development of the new technologies. Therefore, software that is devoted to backwards compatibility will tend to advance more slowly, but with a lot less frustration for its users. Software that isn’t devoted to backwards compatibility will tend to be shinier and newer, but with a lot more frustrations for its users when things break all of the time. Again due to this tradeoff, a devotion to backwards compatibility is essentially a decision to prioritize the needs of users — stability, consistency, reliability — over the needs of developers — novelty, creativity, tinkering, pushing the envelope to make things better, often at a cost to the business. Backwards compatibility testing is expensive. Developers appear to lose out in this equation, but not when you take the long view: Developers serve users, so user happiness with a piece of software means developers’ work is valued by others. If users lose out due to developers chasing the shiny new thing, eventually the users will abandon those developers’ projects in favor of more stable platforms, and then what has the developer gained? Want to dive deeper into some of the concepts and ideas that we cover in our podcasts? Subscribe to our newsletter and keep in touch with the latest innovations in tech and new advances in code! Bugs are not computers’ fault; computers do exactly what we tell them — it is the code we write that is flawed. It can be frustrating to developers that our minds are creative enough to write software filled with elegant and simple solutions to complex problems, yet our logical reasoning and analytical skills aren’t good enough to avoid mistakes along the way. Since bugs are a result of human error, that means that you, or someone on your team, will be taking the blame when a bug presents itself. In this article I’ll cover why bugs are are so frustrating — and why they are inevitable. Then we’ll focus on what programmers can do to limit the pain. Finally, I’ll give managers advice for creating a culture that minimizes bugs. 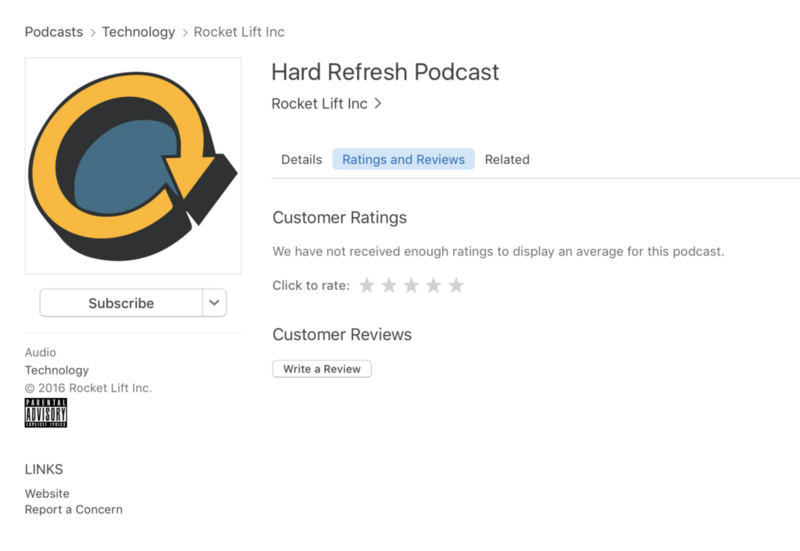 But first, let’s ground this in a story: The “phantom subscriptions” bug featured in Hard Refresh’s first episode. We learned from Pippin and Chris that even the most senior developers can make simple mistakes that have catastrophic consequences. Neglecting to unset() a variable caused it to hang around when it should not have, and as a result, customers were charged for subscriptions they didn’t buy. The cause of this error was frustratingly minuscule and simple, yet it had the potential for disaster — it could’ve driven them or their customers out of business. Instead of finding someone to blame, Pippin and Chris got to work. Despite the scary, stressful situation, they got all hands on deck, dispensed with blame, put their heads down, and communicated openly. And they got through it together. In the end, they took lessons from the experience and applied them to their work. They improved their process with new practices designed to minimize the potential for similar issues to arise in the future. They emerged stronger as a team. And, they were able to build trust with their customers by handling and communicating about the issue so transparently. To get similar results when you face similar challenges, follow the recommendations below. Bugs can infest your team as well. Nobody wants to create a problem with expensive consequences — but sooner or later, everyone writing software takes their turn. It can be difficult to explain the inevitability of bugs to non-technical people. So, owning up to a bug can be stressful if your co-workers (especially managers) have a hard time understanding what happened, or why you made a costly mistake. Frequently, the solution to a bug is a single line of code, a missing command, or even a missing character, such as a curly bracket to close a conditional, or a missing semicolon to end a line. Who among us hasn’t made that last mistake, more times than you can count? Having to tell your boss, “I forgot a semicolon and it broke everything,” never feels good. But it’s important for everyone — especially managers — to understand that bugs will happen. Especially with older code bases, or teams with a lot of contributing developers, problems can mount quickly and unpredictably, regardless of developers’ skill levels. Healthy communication is vital. If your team has not fostered a community of trust, transparency and kindness, developers can feel judged by coworkers for making “stupid mistakes”. Cultivating a team culture where code problems are acceptable — because they are expected — is the best way to make sure bugs are they are identified and fixed as quickly as possible. Programs called “linters” analyze code after you’ve written it; use them to find syntax errors. Integrated Development Environments (IDEs) are an even more sophisticated class of software. They automatically check syntax and analyze logic while you code, and call your attention to potential problems as you type, much like spell check. Syntax highlighting means coloring keywords and symbols in code differently, depending on their syntactical role in the program. This enables programmers to more easily spot problems as they type, even without the aid of the program recognizing and pointing out the error. If the code colors don’t match your expectations, that signals there is probably a typo somewhere interfering with your syntax. Just about all software for writing software, even basic programs, include this feature. If you’re still using Notepad or some other basic text editor to write code, you’re missing out on this powerful, basic benefit. Get your coworkers to read your code line by line with fresh eyes. They will catch some syntax errors you missed, and catch logical errors that hadn’t occurred to you. This works if more experienced developers review younger developers’ code, for obvious reasons, but it’s a best practice for all code to be reviewed, no matter who on the team wrote it. Most all developers have something to learn, and something to teach. And, most all developers will make mistakes that a fresh pair of eyes will catch, regardless of their experience. If nothing else, newer developers will learn a lot from reading code written by their more experienced teammates. Anticipate the unexpected. Start with fresh data each time through a looping process, as in Pippin and Chris’ story with their use of unset() to clear variables. Make as few assumptions as possible — ideally none — in code. Take the time to generate errors when assumptions are violated while the program is running. You’ll earn that time back when you’re called on to debug some urgent problem that has management sweating bullets. Even if your code works fine and you understand it, others may not. That invites problems to creep in when others add new features that interact with yours. They will make assumptions (consciously or not) about how your code works and how they should interact with it. For this reason, work together as a team and over-communicate, to make sure you’re rowing in the same direction. Write simple code instead of elegant or complicated code, even if it makes you feel proud. Code needs to be easy to read and understand. It’s surprisingly easy to do your coworkers (and even your future self) a disservice by being too clever. Think of coding standards as institutional knowledge: They are accumulated wisdom of good practices to help avoid common errors. Some developers view coding standards as busy work, or arbitrary. Don’t be one of them. They may not always make sense at first, but there’s value in consistency, even when applying rules you may not understand at first. Think of using coding standards as a requirement for your work as a professional. Commit to learning standards for the languages you write in — and the reasons for them. I guarantee that following standards will benefit you and others. What can managers do to make bug management less painful? Calling all senior developers, product owners, project managers, team leaders, CEOs, and CTOs — this stuff is for you. First and foremost, create an atmosphere of trust and openness on the team. Do this by validating developers even when things go wrong. Know that bugs happen, and all programmers create them. Thus, you should highly value the skill of open and clear communication in developers. Encourage your entire team to learn from all incidents together, so they build everyone’s experience. What would Pippin’s team have gained if they had angrily lashed out at the developer who left out the unset() command? The developer would’ve been demoralized and shamed, not motivated or corrected. They wouldn’t have been available to fire on all cylinders, at a time when that’s what the team needed most, to fix the problem and restore their customers’ trust. To foster an open and supportive team, individuals need to feel safe to notice and report bugs. Otherwise, a developer might be more motivated to to protect their job, or the jobs of their teammates, instead of prioritizing quality code. People often think of writing software as similar to building a house: You plan and build a strong foundation, erect a strong, load-bearing structure, add a layout of walls, and layer over everything with windows, doors, and finish that all fit together perfectly — and all according to plan. Unfortunately, writing software is quite different. Houses are fairly standard. Software is generally, almost by definition, unique. So, imagine building a house without standardized materials, without common practices for most problems, and without a complete blueprint from the get-go. Imagine your builders having to invent the door, figure out how to make a window, and how they should fit together in a wall… That is a much better analogy. In software, a significant part of what you know about the problem you are solving is learned while solving it. As projects begin, developers may have a pretty good idea of the final outcome. But, as the project progresses, the plan will change. Because of that, it is generally inefficient to plan things out in complete detail from the start, because plans will change. As developers focus more attention on specific features and aspects of the program, they surface details that couldn’t have been anticipated or planned for. When they apply their creativity to address these details (which is often the right thing to do, depending on context), they might introduce complexity. When they check in with project managers for input (which is also often the right thing to do), the requirements can change. They may suggest ideas for improvements on the original plans, which can introduce entirely new and unplanned features. Their skills even improve during the project as they learn new techniques, which can make code written near the end of the project very different from code written at the beginning. All of these cases typically lead to places where the system doesn’t work together quite as intended. These are called bugs. And the point is, creating them is inevitable. This can be difficult for project managers and owners to accept, because it introduces uncertainty and risk — two things that managers are supposed to reduce. But in almost all cases, this is a firm truth. We instituted a rule at Rocket Lift this past spring, on the recommendation of a good friend: When a developer gives you an estimate, triple it. I ask them to give me conservative estimates that they feel confident in. I ask them to assume I’m going to use exactly the estimate they give me for project planning (securing budgets, setting client expectations, etc.). They give me numbers that they truly believe will be accurate. Then, I assume that they’ve underestimated by a factor of 3. I know that this happens for reasons that are completely outside of their control, and have nothing to do with their skill level, so there’s no judgement. I apply this rule 100% of the time, with everyone on the team. Sure, experience helps a little, so more senior developers tend to be more accurate, but trust me, it’s still not as accurate as you would think. “Technical debt” is a useful way for managers to think about risk in software projects. It encourages you to think of all software programs as on a spectrum: On one end, so full of bugs that it doesn’t work at all. On the other end, 100% perfect and problem-free (a nearly impossible ideal, but always the goal). Managers, train yourself to hear this and translate it in your head as “I just introduced future problems in order to meet short-term project goals.” Project goals and deadlines have your team borrowing time from the future to accelerate short-term progress. Technical debt compounds like interest on a financial loan; the longer you wait to start “paying back” that interest, the harder it will be. And you’ll have to pay it down one way or another down the road: There will either be bugs that crop up later, or the software that worked for a while will suddenly start to let you down as business grows or conditions change. In our house-building analogy, paying down technical debt is like stopping to re-build portions of the house that didn’t fit together correctly, now that you know the shape of the whole. If you choose not to rewrite along the way, which time and budget constraints often dictate, you could end up stuck with a shoddy house — say, with bricks in the third story that aren’t supported by a foundation constructed out of paper. Eventually, it will collapse. If you plan to rewrite code along the way — to remove inconsistencies and redundancies, to reduce complexity and make code more organized — then you have a plan to manage your technical debt. I award you the highest of fives. Commit budget, time, and resources to rewriting code for features that have already been delivered, based on developers’ recommendations and priorities. This is called refactoring. Recognize that the developers probably have a clearer view than you of the extent of looming technical problems. Trust them when they tell you that some area of code needs attention. Conversely, if you do take this approach, you’ll be managing technical debt gradually, continually, rather than letting it get out of hand and becoming very painful. Think of this as a “move slow to move fast” approach. You, the manager, have perspective that developers may not have on the most important features and milestones for the project. Ensure that the intended outcomes are clearly understood by the team. Additionally, make sure the software’s “architecture” — its overall plan, which may have emerged during the project — is as clearly understood by your team as possible. You may need to depend on your senior developer for this. If the team shares your understanding of goals and priorities, they can bring to your attention technical issues with a high risk of threatening the project. Be familiar with our recommendations for developers, above, so that you can ensure best practices are actively used. Make it clear that, because you want quality code, you support the team using coding standards, professional software writing tools, code reviews, and so on. Support your people. Encourage them to aim for beautiful code always, and give them what they need to hit it. Secure time and budget resources for them to do things right. Also, aim for transparency and trust. Foster a healthy, trusting work environment. Structure your process to encourage openness, directness, code reviews, and individual improvements. Do these things, and you’ll not only have a happy team, but you’ll reduce your instance of bugs. Are you a developer, or a manager of developers? Do you agree, or disagree with our recommendations? 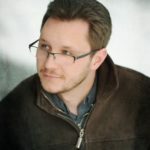 Author Matthew Eppelsheimer is Hard Refresh’s executive producer, and the managing director of Rocket Lift.